A chord diagram is a simple drawing that represents the strings and a few of the frets on the guitar. We place a dot where your fingertip should be pressing a string down. If there is an 'X' over a particular string, it means that you should not play that string at all. If there is an 'O' over the string (or nothing over the string), it means that you should play that string open. 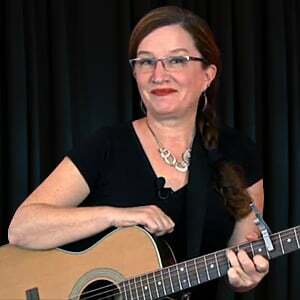 Learn to make your own chord diagrams, and keep a record of the chords you are learning in your notes.